Literary Lindsey: It's Monday and we are all moved in! It's Monday and we are all moved in! Hello from our new house! This weekend was the big move. We are tired people, to say the least. I am writing at this moment surrounded by boxes, but we are trying to be ok with taking the unpacking slowly. We are expecting some furniture and things to arrive in the next week, and honestly there is just no need to stress out. The husband doesn't officially start his new job until Friday, I will probably only work one day this week - we are blessed with the chance to take our time. Somehow, in all of the craziness, I managed to get some reading done this week. I think it has a lot to do with the fact that I like to find bits of time. The ten minutes in bed before falling asleep, a few moments while waiting for David to find his shoes, while eating lunch - I use all of these times to get in a few pages. I'm looking forward to it. I haven't read a thriller in a while. 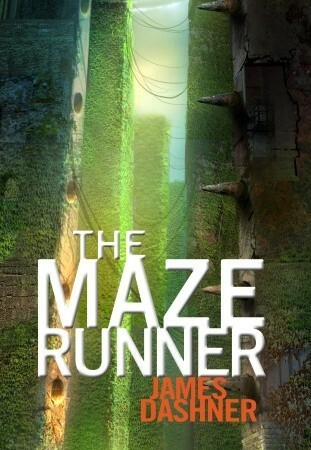 I've heard such good things about The Maze Runner and The Dispatcher, both are on by TBR list. You can check out my week (actually fortnight!) here. I'm amazed that you not only got moved in, but that you also read books! Wow. I was surprised myself, to be honest! Hmm, not heard of 'The Dispatcher' before..should check it out. Hope you have a great reading week! Thanks - I hope you have a great week too! I haven't read any of these yet but Maze Runner is on my list of books to be read. I enjoyed it, but it seemed to take a lot of time to really get started. Is there such a thing as too much world building? I'm not familiar with your books this week - will be waiting to read your reviews to see if they are my type of reads. Thank you Kristin. I'm trying to read a variety - Maze Runner is YA, Great House is a sort of quiet contemplative book, Woe is I is non-fiction, and The Dispatcher is a thriller. Thee are all new to me. Have a great week. Thanks Heather - you too! 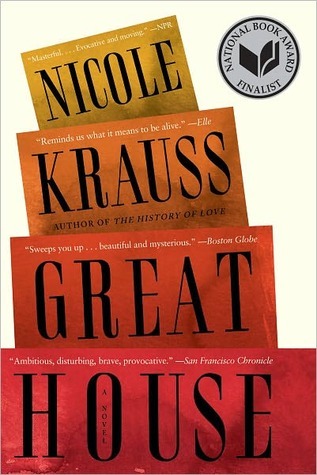 I couldn't believe I hadn't read anything by Nicole Krauss before. I'm glad I finally read one of her novels. Thanks so much - we are getting there! Thanks, Sam. I think it's sort of fun doing all of the planning and arranging if you're not stressed by time constraints. Great House is on my wishlist. My favorite read last week was Amulet 4: The Last Council by Kazu Kibuishi. Please come see what else I'm reading. It's a beautiful novel. I hope you get to read it soon. I'm interested in hearing what you thought of Maze Runner. I tried it last fall and ended up abandoning it after the first 20 pages or so. I just couldn't get into it. Maybe I should try it again. Have fun taking your time to unpack! I think the problem was that The Maze Runner takes too much time to really get started. Ostensibly, the boys could live in the Glade in safety for forever...it takes about 200 pages before there is a true conflict. I'm not sure whether I will read the sequel or not. The Maze Runner is one of my favourite series :) But thanks for sharing.. and happy reading!! It's Monday and I have a giveaway, people! I move, you get a book, everyone wins! It's Monday and life is crazy!